A long-time business on Vancouver's Commercial Drive is closing its doors because its rent is doubling, putting into question the long-term sustainability of independent shops in the neighbourhood. A long-time business on Vancouver's Commercial Drive is closing its doors because its rent is doubling, putting into question the long-term sustainability of small shops in the neighbourhood. 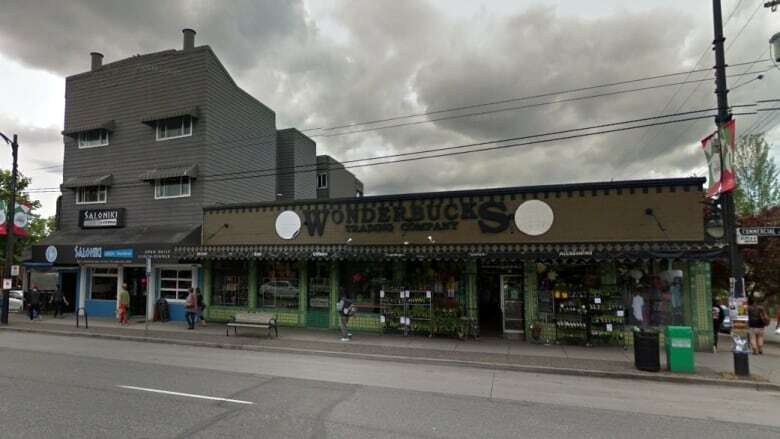 Housewares store Wonderbucks has been at its Commercial Drive location for 18 years and has become a fixture of the eclectic area known for its independent stores. The owner, Bernie Moschenross, says his landlord is increasing his rent to $27,000 per month. "That's a hard pill to swallow as a small retailer," he said. "Vancouver has become an expensive city. [It's] certainly harder for us independent-owned retailers to survive with extraordinarily high taxes and escalating rents which are caused by increases in property values." Moschenross, 62, says he tried to convince the building owner to let him stay at his current rate another three years until he retires, but the 81-year-old building is in need of major electrical and plumbing upgrades. "We understand that, because we're business people too," he said. "The landlord has been really fair and really tried to accommodate us." Moschenross says he did try to find another location, but that proved impossible within his budget. "It is a great business," he said. "Someone else could take it on, but the challenge is finding a rent and a location in the city." Three years ago, Moschenross closed a second location on Broadway, for the same reason. The store has been given until the end of January to get out — enough time to wrap up the Christmas season. "It's very emotional, I can tell you. Our staff is really loyal and they're all sticking with us to the end and we're going to have a big party when we're done," Moschenross said. Nick Pogor, executive director of the Commercial Drive Business Society, agreed that Wonderbucks is an institution on The Drive. "But the retail landscape is a difficult one in the City of Vancouver," he said, citing online shopping and land prices as the main issues in the industry. "With property value rises, there comes more property taxes, and eventually the lease holder will see the brunt of that from the property owner," Pogor said. While independent retailers may be a defining feature of The Drive, Pogor said it's easier for bigger businesses to survive. "Larger corporations ... have the ability to weather rent increases and a little bit of a volatile market, whereas the independent retailer is very much working on a day-to-day basis to meet small business challenges," he said. "We want to get behind the small business as much as possible ... but we also need the mayor and council, the City of Vancouver, the province, to jump on board and do what they can." Pogor suggested changing the tax assessment system and decreasing costs and wait times for permits and licencing as ways the city could help. Meanwhile, Moschenross said the deluge of support from the neighbourhood has been welcome. "It's been a really moving experience with all the feedback and the love towards our little company. We really didn't expect that outpouring of emotions."